*Originally posted on the FMK blog on the 27th of June, 2015. Lawrence Tan has been a practitioner of Martial Art for over 50 years. He never quite felt tranquil within himself growing up in a family of Chinese immigrants in America. As a thirteen year old he lived in a neighbourhood were in his own words; "there were mainly whites, there were very few Chinese". He suffered from racial prejudice as he was constantly referred to as "Jap", "nip" and "chink". The Chinese community laughed at him for he did not speak a Chinese language. This resulted in Tan not feeling like he belonged anywhere. He saw Bruce Lee's films when they were originally released in cinemas. After seeing what Bruce Lee was doing on the big screen, he had a feeling that Gung Fu was something that he had to do. Finding a place to learn a Chinese system, however, proved to be very difficult. He then took something else on the basis of availability - Karate. One day a friend of his came to visit him from Taiwan. During a sparring session his friend used techniques that Tan hadn't yet seen. After having his leg swept and consequently falling to the ground, he asked his friend "What was that?". His friend replied "It was Gung Fu." This further compelled Tan to find a place to learn a Chinese system. He went to his local Chinatown and looked deeper than he ever had. He felt that because that it came from China it affirmed his heritage and the fact that it had a philosophical foundation helped nurture a very philosophical and spiritual side that felt right for him. Finding work as a fight choreographer for movies, Tan was able to fund a trip to the Shoalin Temple in China in 1984. What he found was truly enlightening, but not in the way he expected it to be. At first tan thought that by going back to the Shoalin Temple, he was going back to the very essence of Martial Art. He thought, as many do when venturing to the Shoalin Temple, that they were tracing Martial Art back to its very source, to see Martial Art exist in its most purest form. In actuality, China's government had long turned the Shoalin Temple into a tourist trap! "It was like a Chinese Disney land." said Tan. Most of the monks new little to nothing about meditation, enlightenment and spirituality in general. Tan spoke of an instance when he ascended from his slumber at 2am to see the monks meditating. On his way there, he saw one monk practicing what looked like Western Boxing. The Shoalin Temple is generally the last place one would expect to see the practice of Western Boxing for obvious reasons. Tan asked the monk why he was practicing this. The monk replied; "Chinese Gong Fu superior, but Boxing more efficient to learn and more practical in combat". I personally find this statement to be truly profound, especially considering the fact that it came from a monk in the Shoalin Temple. Tan then spent time at a training academy for boys located across the road from the temple. The level of discipline these young practitioners had was unlike anything Tan had seen in America. However, their motivations were again, not what he expected them to be. These young practitioners wanted to be China's next Bruce Lee, they wanted to make it in to Hollywood through martial practice, not physical, mental and spiritual cultivation through martial practice. Weather he found what he expected to find or not, Tan gained a lot of wisdom from his time at the Shoalin Temple. Tan stresses the importance of understanding the differences between East and West as the ways of thinking and learning are very different. Over years gone by, Tan has observed that the traditional Chinese way of learning is much more based on mimicry. The master has a lot more knowledge and experience. The master knows what he is doing, therefore, the student follows what the master does. Over time the student will intuitively grasp it. The Western way is much more analytical. It prefers to break something down and analyse each small detail in order to gain an intellectual comprehension. When Tan was asked where he fits in between East and West, he replied; "Back and forth like a yoyo!". Lawrence Tan now resides in the city of New York where he teaches his personal expression of Martial Art, formatted into a system he invented to make his expression more accessible for those with no experience. The etymology of Tandao is fairly obvious in being 'the Tao of Lawrence Tans expression'. It is important to note that the Tandao system is not the be all end all definition of Lawrence Tans expression of Martial Art, the Tandao system more so serves to market his expression and to provide his students with a good foundation. In recent years Tan created an online web series on blip called Tandao Fight Lab. This is how I discovered him. Tandao fight lab episodes are aimed at who Tan refers to as "the evolving Martial Artist.". In Tandao fight lab, Tan demonstrates how techniques from the forms of classical Gung Fu systems can be applied in common street scenarios and against the 'modern techniques' of a combat sport practitioner. Each episode runs for approximately 2 to 4 minutes. A relative of mine saw some of Lawrence Tans technique and questioned if Tan was/is as legitimate as he claims to be. My opinion on the matter is that regardless of how well he may appear to execute techniques, he has great knowledge. His knowledge grants him versatility, this would be his main advantage in a combative situation. I have found his Tandao fight lab episodes to be very beneficial to my training. They have deepened my insight into the wisdom of classical Gung Fu. I believe Lawrence Tans heart is geared towards expressing the Martial Way. Here's a good video of Lawrence Tan demonstration his expression. I particularly like this video that was taken in 2005. Tan takes Martial Art to the class room, educating people about the history of Martial Art, how in the 21st century it's being represented, and what he thinks the future has in store for Martial Art. If you are to watch anything from Lawrence Tan THEN WATCH THIS!!!! School is Over, Life is Moving on! 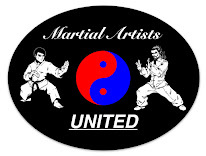 Martial Art - A Combative Dance! Jake Mace Stands for Real Martial Arts! Reflecting on 2014, Looking Forwards to 2015! Wow. Corruption in the cage!. Positivity can come out of Negativity.